Of the top twenty nations only three are not European – New Zealand on 13, South Korea on 16, and Japan on 20. Scandinavia covers the top 5 ranks. 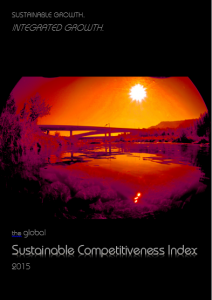 Sweden is leading the Sustainable Competitiveness – followed by the other 4 the Scandinavian nations. Of the large emerging economies (BRICs), China is ranked 32, Brazil 42, Russia 43, and India 121. Of the large emerging economies, China is ranked 37, Brazil 41, Russia 45, and India 152. 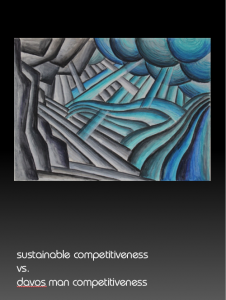 Iceland is leading the Sustainable Competitiveness Index for a second year - the country that refused to bail out its banks in the aftermath of the financial crisis 2007/2008. The Sustainable Competitiveness Index is topped by Scandinavian nations four the 4th consecutive year. The leaders are followed by other North-Western European Nations. Only Japan (10th) breaks into the Nordic phalanx in the top ten. The World’s largest economy, the US, is ranked 40th. The UK is ranked 47th. Russia is above both on 33. Of the booming emerging economies, Brazil is ranked 23, China 24, South Korea 39, and India 133. Sovereign bond ratings do not take into account the underlying sustainability factors -they do not fully reflect investor risks. 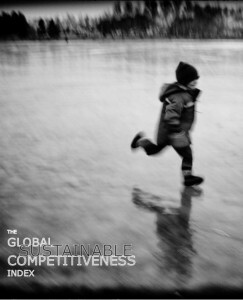 The Sustainable Competitiveness Index is topped by Scandinavian nations four the 3rd consecutive year. Only Japan (2nd breaks into the Nordic phalanx. The leaders are followed by other North-Western European Nations. 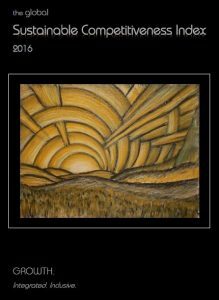 The only non-European country in the top 20 are Canada (9), Japan (12), and New Zealand (14). The World’s largest economy, the US, is ranked 27th. Of the booming emerging economies, Brazil is ranked 28th, South Korea 30th, China 38th, Russia 48th, and India 126th. 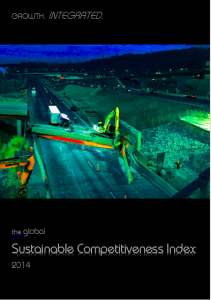 The Global Sustainable Competitiveness Index scores and ranks 176 countries according to their capability to sustain or increase wealth in a resource-constraint, globalised world. 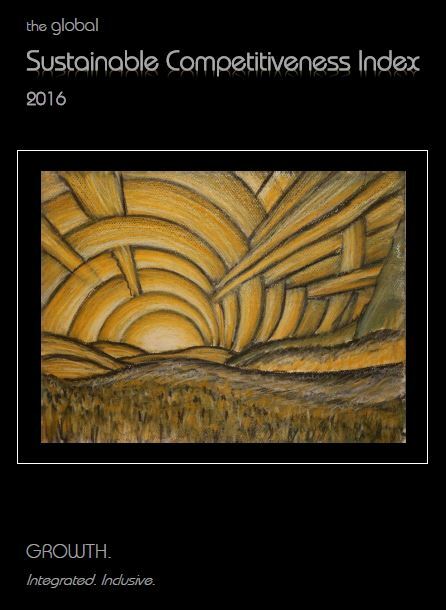 The Index was first developed and published in 2012, based on a competitiveness model that incorporates all aspects required to sustain wealth, the environment, and social cohesion. The four main pillars of the model are: natural capital (the availability of natural resources), resource efficiency (as a measurement of industrial competitiveness), sustainable innovation (as a measurement of the capability to sustain economic activities in a competitive global market) and social cohesion (the foundations of smooth operation and secure investments). 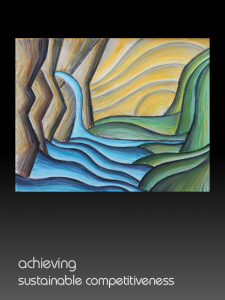 Natural Capital and Resource Efficiency rankings are topped by countries with high availability of water resources, favourable climate conditions, and rich biodiversity. Clear distinctions are visible between countries within the same development stages. Large parts of the human population are living in countries with high natural capital depletion combined with low resource efficiency (China, India), raising concerns regarding the capabilities to achieve sustainable wealth. The Social Cohesion ranking is headed by Scandinavian and Northern European countries, indicating that a strong social fabric is a result of the combination of economic development and equality initiatives. 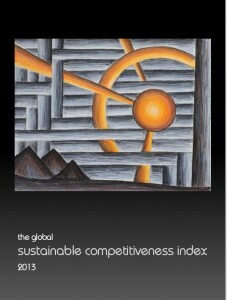 Data collected by the World Bank, the IMF and various UN has been analysed to calculate a sustainable competitiveness score. 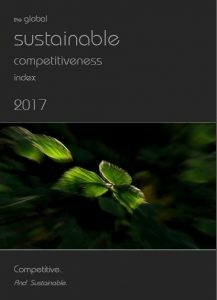 The data has been compared for 176 countries around the World to establish the Global Sustainable Competitiveness Ranking.